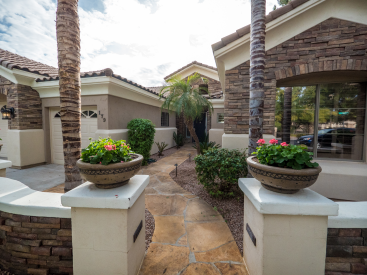 Large single level home in Beautiful Gated Community. 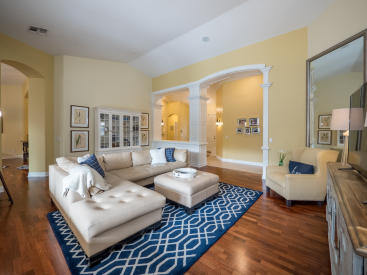 Situated on lush Tree-lined Street, Manicured Landscapes lead to Stunning Entry, w/Soaring Vaulted Ceilings, & Elegant White Paneled Arches & Mill Work t/o. 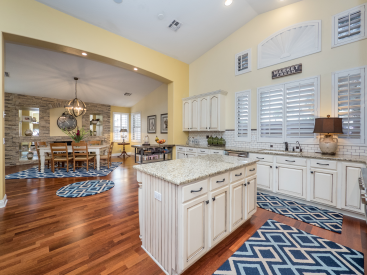 Custom Stone & Wood Flooring Highlight the Fresh & Up to Date High-end Décor. 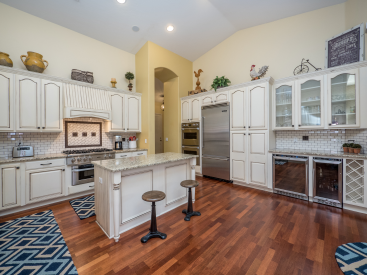 Dream Chef's Kitchen w/Viking Appliances, including Wine Coolers, Divine White Cabinetry, Gorgeous Counter Tops & Backsplashes all open to Grand Flex Living & Dining Area, w/Gas FP & $8k French DR leading to patio. Master Retreat for Indulging VIP Owners in the Finest! 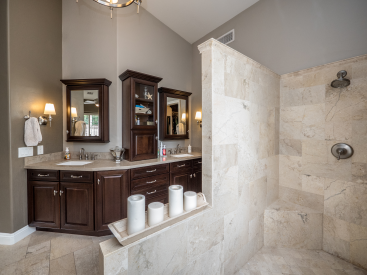 Secondary Bdrms & Baths sure to Delight! 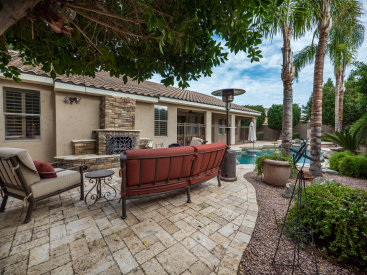 Outdoors are Perfection w/extensive Marbella Stone Patio & Pool Surfaces, Outdoor Kitchen, Fireplace - It's All Here! Over $200k in recent renovations! !